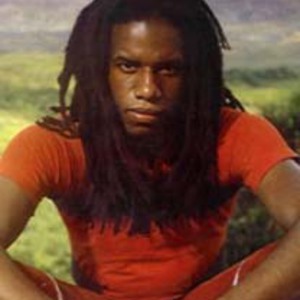 Eddy Grant (born Edmond Montague Grant, 5 March 1948), is a Plaisance, Guyana born musician. When he was still a young boy, his parents emigrated to London, UK, and as a teenager formed the multi-racial group The Equals. He sported dyed blonde hair & had his first million selling Number One hit in 1968, when he was the lead guitarist and main songwriter with his self-penned song, "Baby Come Back" that flew to the chart summit. Notably, Grant openly used his songwriting for political purposes, as in Police on My Back and later Gimme Hope Jo'anna about the then-current apartheid regime of South Africa. By the early 80's, Eddy released Killer on the Rampage using MTV exposure to have big hits in the US, UK and Australia with the 80's techno reggae grooves of Electric Avenue and followed that up with the title song for the successful 1984 movie, Romancing The Stone. The album Walking On Sunshine produced the popular tracks I Don't Wanna Dance and Gimme Hope Jo'anna. Eddy owns and operates a leading recording studio called Blue Wave in Barbados, near St. Lawrence Gap, and it has hosted some of the world's top recording artists and producers over the years. He has produced music for the likes of Sting, Mick Jagger and Elvis Costello.His songs have remained influential & popular on radio, The Clash[/track] covered his song Police on My Back in the late 70's and his track "Baby Come Back" topped the UK Singles Chart again in 1994 when covered by Pato Banton.